Since World War II, penicillin has been used to successfully treat a wide variety of bacterial infections. However, the penicillin family of antibiotics is not without drawbacks. One is the role of penicillins and other antibiotics in the evolution of antibiotic- resistant bacterial strains. Another is their capacity to induce allergic reactions in some patients. Penicillin and its relatives are responsible for most of the recorded allergic reactions to drugs and 97% of the deaths caused each year by drug allergies. Allergies to penicillin and other drugs can be induced by small doses and are not consequences of the pharmacological or physiological effects of the drugs. An allergic response usually occurs about a week or so after the patient’s first exposure to the agent, with typically mild symptoms often including hives, fever, swelling of lymph nodes, and occasionally an arthritis-like discomfort. Subsequent treatments with the drug usually cause much more rapid and often more severe reactions. Within minutes the throat and eyelids may swell. Grave danger arises if these symptoms progress to anaphylaxis, a physiological collapse that often involves the respiratory, circulatory, and digestive systems. Hives, vomiting, abdominal pain, and diarrhea may be a preamble to respiratory and circulatory problems that are life threatening. Wheezing and shortness of breath may be accompanied by swelling of the larynx and epiglottis that can block airflow, and a profound drop in blood pressure causes shock, frequently accompanied by weakened heart contractions. The treatment of choice for anaphylaxis is injection of the drug epinephrine (adrenaline), which can reverse the body’s slide into deep anaphylaxis by raising blood pressure, easing constriction of the air passages, and inhibiting the release from mast cells and basophils of the agents that induce anaphylaxis. Other drugs may be used to raise the low blood pressure, strengthen heart contractions, and expand the blocked airways. After a case of drug-induced anaphylaxis, affected individuals are advised to carry a notice to warn future healthcare providers of the drug allergy. 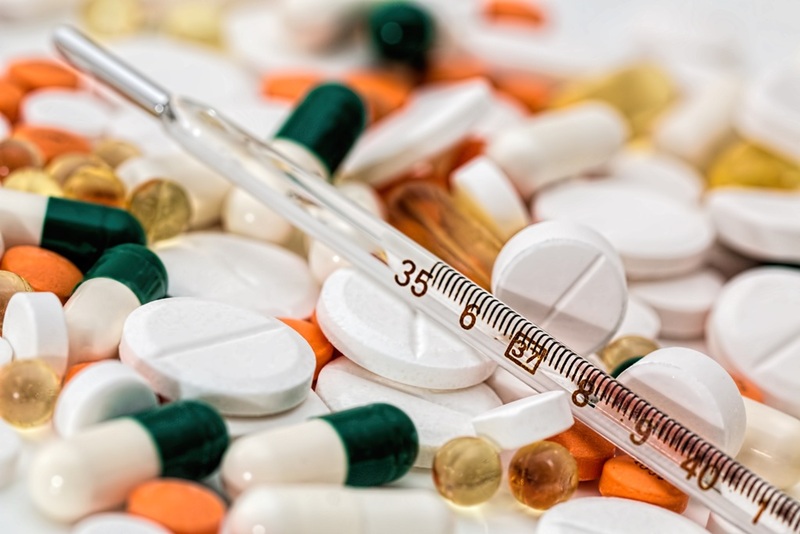 Most drugs, including penicillin, are low-molecular-weight compounds that cannot induce immune responses unless they are conjugated with a larger molecule. Penicillin is not the only drug against which patients can develop allergies. Others include streptomycin, aspirin, the so-called “sulfa-drugs” such as the sulfonamides, some anesthetics (e.g., succinyl choline), and some opiates. All of these small molecules first react with proteins to form drug-protein derivatives. When this happens, there is a possibility that the immune system will produce an antagonistic response to the drug, just as with penicillin. Drugs (and their metabolites) that are incapable of forming drug-protein conjugates rarely elicit allergic reactions. Tests are always recommended these days if allergic reaction is suspected, either from previous experience with other drugs or a known genetic trait that is common in one’s lineage. in these tests, the drug to be administered is giving in minute doses to check its effect on the patients. By doing this, one averts a potential great danger in using some allergic drugs. Adapted from Clinical Focus (with editing) of Kuby’s Textbook of Immunology.